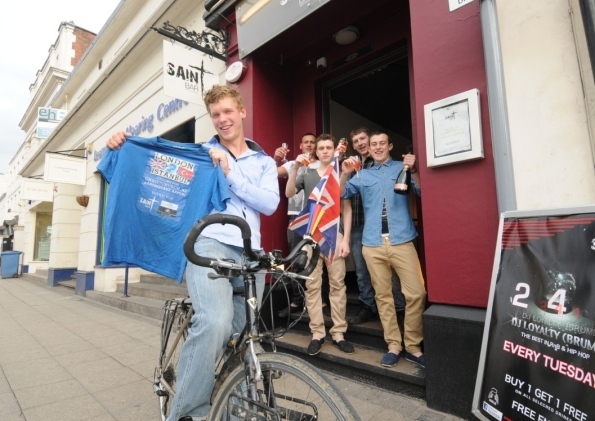 WARWICK University student Luke Parry has shared memories of his amazing 2,000 mile fundraising bicycle ride with friends at a Leamington bar this week. Mr Parry, 19, who lives in Shrubland Street, cycled from London to Istanbul and across 13 different countries in the space of five weeks – returning to England in time for the Royal wedding. The engineering undergraduate took more than 2,000 photographs during the solo ride, which he undertook to raise money for the New Zealand Earthquake Appeal.